Transport your art materials anywhere with this versatile compact tote, made from durable canvas and finished in a stylish polka dot pattern. You can secure everything in place and you don't have to worry about loose products in your bag! Ideal for multiple journey's. 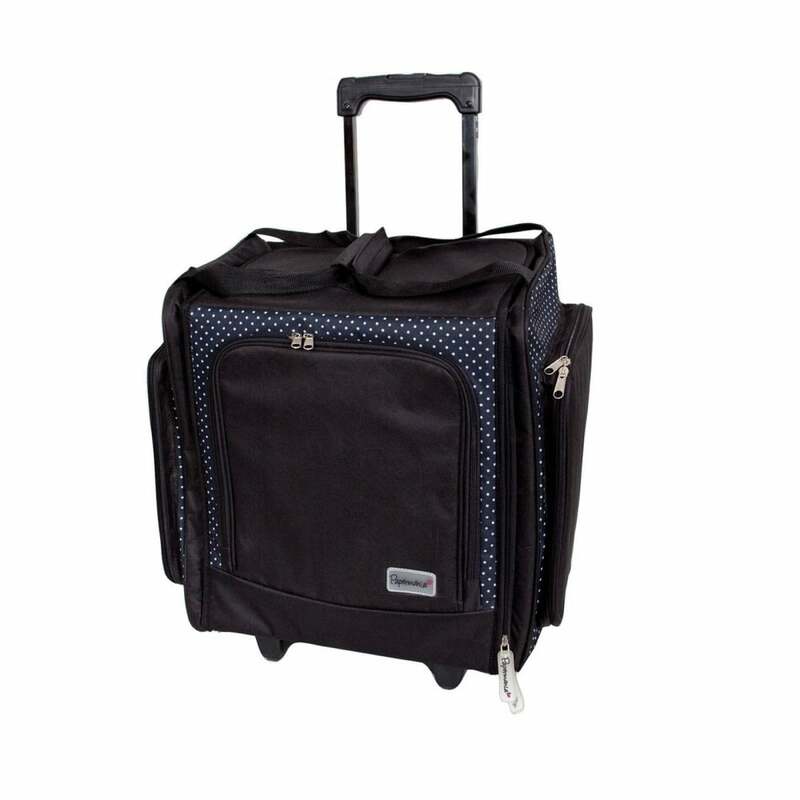 Carry your luggage in this bag, with multiple compartments. It features a variety of small to extra large storage pockets, which are perfect for short trips away. Keep your valuables zipped securely inside & your mobile devices in the side for easy access. A long handle is included on the back of the tote, making it easy to wheel across the floor if you have a heavy load. In addition you can use the two handles located on the sides of the tote. It has zip closures enabling easy usage. The dimensions of the case when closed are approximately 42cm x 40cm x 27cm. The tote case is fully lined, has 2 wheels, front stoppers, a retractable/adjustable handle, along with alternative carry handles and reinforced Hook and Loop fastening. Why not store all of your materials in this tote even when you're not travelling? It helps you keep track of items and secures them safely to minimise the mess and loose items on your desk!Papermania fashionable Wheelable Craft Tote for storing and transporting your crafting kit. Designed to coordinate with the Mini Craft Tote. Has several different detachable pockets for easy storage.